DEVON chased to the end but it was Somerset O50s who emerged triumphant from the cross-border skirmish at Taunton Deane. Somerset, who were inserted, reached 37 before Marc Jenkins was caught by Steve Moore off Brian Cann for 12. Graham Poulton - a Devonian ex-patriot from Paignton - followed soon after when he was bowled by Keith Biggs for 21 to make it 41 two. Dave Stephenson and Andy Stevens started building a platform and reached 105 before Stephenson was lbw to Graham Munday for a solid 30. Somerset put together a series of useful partnerships as Stevens was caught by Charlie Dibble off spinner Chris Cook for 29 and Ian Thomas was lbw to Cook for the same score to make it 171 for five in the 36th over. Andy Fussell knocked the ball round nicely and the total progressed to 214 before Somerset captain Tony Scott was caught by Steve Luffman off Biggs. Keith Graddon departed quickly in identical fashion, and when Fussell was run out by Munday for an invaluable 45 off 43 balls, it was 220 for eight after 42 overs. Nigel Belletty was run out on 229 and Somerset finished their 45 overs on a defendable 236 for nine. Devon slowly accumulated runs in the face of some tight bowling from Graddon until, with 38 on the board, Cann was superbly stumped by Belletty off seamer Craig Dredge. Twenty runs later Dredge picked up his second wicket as left-hander Roger Wensley was trapped lbw for 24. Luffman and Richard Pyle put on 66 for the third wicket, until Pyle was caught by Graddon off Fussell. The game looked reasonably balanced at 148-3 in the 34th over, but Devon were rocked as the home side took four wickets for 16 runs in three overs. 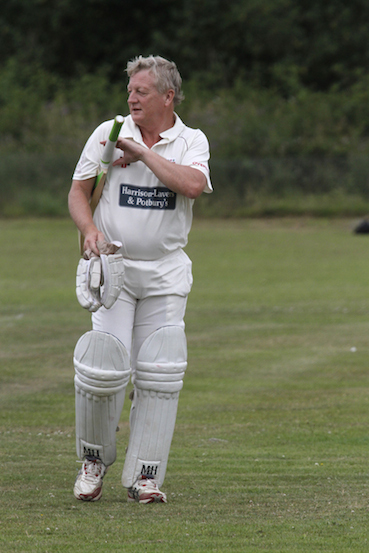 Fussell picked up his second wicket when he bowled John Tierney, and Graddon ran out the dangerous Luffman for a fine 56 to make it 157 for six. One run was added before Fussell had Moore lbw, and when Terry Farkins was caught behind by Belletty off Graddon, it was 164 for seven with Devon in serious trouble. Somerset were well on top, but Cook and Munday started to fight back as they put on 44 in as many balls. They got within striking distance with 34 needed off four overs, but with the score on 208, Cook was caught by Thomas off Clive Hamblin for 24 and Munday was run out by Stephenson for 20. Biggs and Dibble gave it their best, but the momentum had gone and when Biggs was stumped off Hamblin off the penultimate ball off the innings, Devon were all out 15 runs short of victory on 222. Devon are back in action tomorrow (Monday) when they face the Channel Islands at Taunton (1.00 pm).